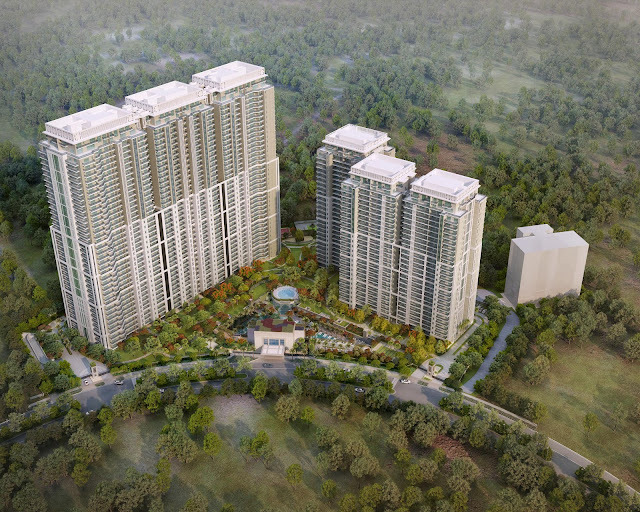 January 16, 2017, Gurugram: DLF5, one of the leading luxury estate developer in India today announced The Crest, a premium and luxurious residential 3 and 4BHK apartment complex in Gurugram. This latest project by the real estate major is a shining example of the perfect mix of classic and contemporary architecture offering the residents a luxurious lifestyle experience. The credit of the exquisite designing each of the six towers of the property goes to world renowned architect Hafeez Contractor who is also the architectural brains behind several residential and commercial properties owned by DLF in Gurugram. The Crest is bordered by DLF Golf and Country Club and its six tall towers rise up from the sprawling 8.822 acre (35701 Sq. Mt.) site with dramatic flair. The apartments’ size varies from 3000 sq. feet and 4000 sq. feet (3BHK and 4BHK) to 5000 sq. feet (penthouses). The architectural design ensures that the residents are cocooned from the noise of the bustling city, making The Crest their private oasis. Its visionary design brings together timeless elements to create a single, balanced architectural statement. The landmark design is a mix of art decor, modern and classic styles that is created to appeal to connoisseurs and residents alike. 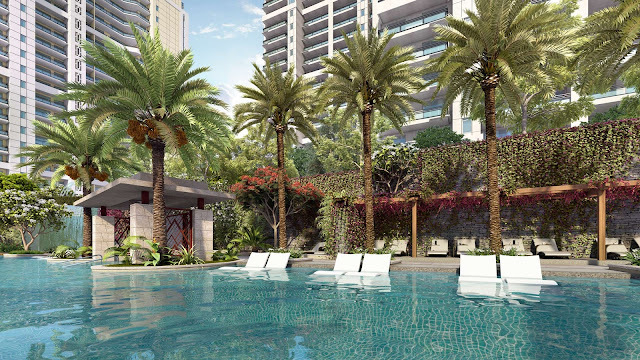 Constructed on Park Drive Road, the high rise towers are only minutes away from all lifestyle, dining and recreational activities and medical necessities. The Crest’s elegant entrance lobbies showcase luxury interiors; from stone floors and hardwood accents to plush furnishings. The apartments also provide advanced security features where the visitors are screened by trained personnel before proceeding via high-speed elevators to the apartment floors.